My husband and I had been thinking of making the investment in a new backyard for a long time. In August of last year, we finally went ahead with the project. After meeting with several other landscape companies, we finally made the choice to go with Poise Contracting. Alex, the owner of the company, met with us several times over the duration of a month to solidify our design. The rendering we received from Alex looked exactly like we had imagined. A month after our first contact with Alex his crew showed up to start construction. They estimated two weeks to complete the job and it ended up taking just over that. We were and still are really impressed with the quality of work Alex’s crew produced. Thank you for a job well done! Thanks so much Jennifer and Tom! Alex and his team were great! The job got done ahead of schedule and on budget. Would definitely use them again. Thanks Patricia! Looking forward to working with you again. 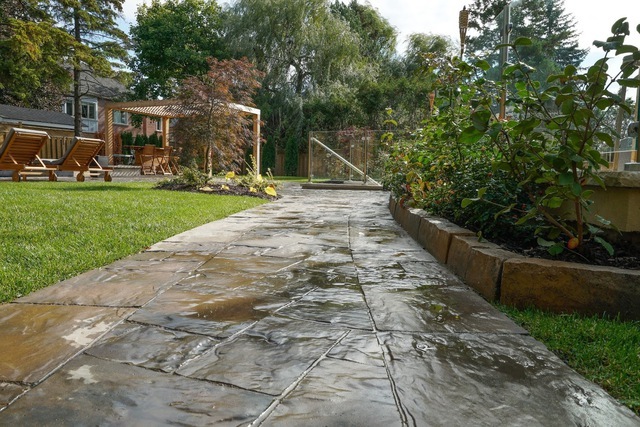 I met poise contracting via a friend who'd had some hardscaping done and was looking for a high value interlock option. Poise came in with a great strategy and surprisingly reasonable cost for the interlock. The driveway came out amazing. Dealing with the staff was easy and the work was professional. Thanks for the review Cameron! 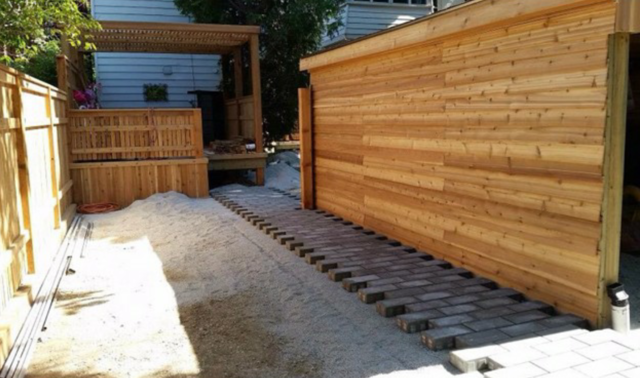 We are sure you will enjoy the driveways for years to come. Poise completed 2 projects. Walkway on the side of the house, with wood fence and above average sized patio stone work in the backyard.Both finished when promised and very helpful to work within our budget. Thanks for the review, it was great working with you! Driveway, patio, garage, and deck. We were so pleased with the work that Poise did for us. They were extremely professional and provided us with the high quality of service that is hard to find. The job was completed on time and within our budget and we can't say enough about how happy we are with the completed work. 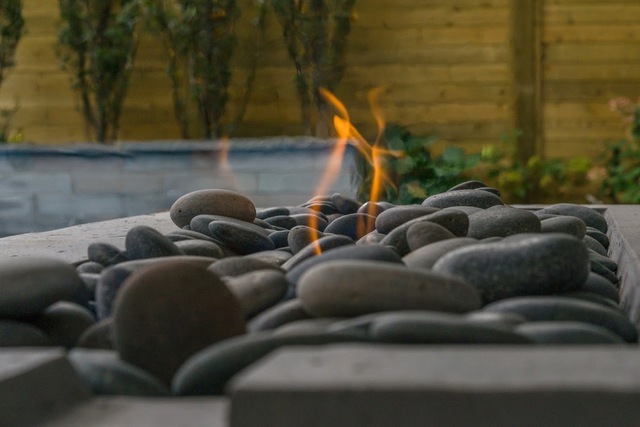 We would highly recommend them to others who are looking for a contractor to complete their outdoor project. Thanks for the review Shari! 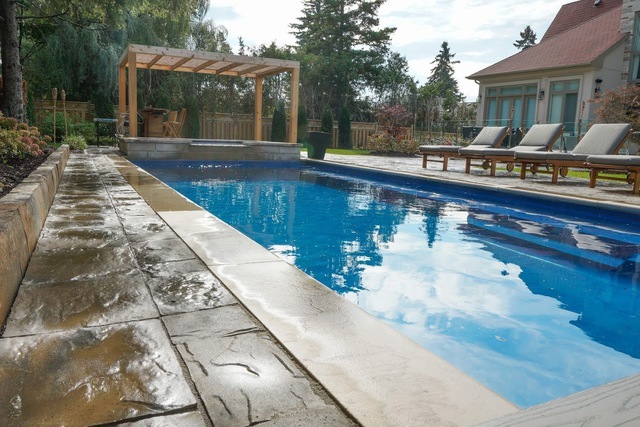 In the back of our house Poise contracting installed a fiberglass pool with a hydraulic cover as well as 1500 square feet of patio and walkways. We also had them put in a pergola and an outdoor kitchen. In the front they installed a 2000 square foot heated semi circle driveway. 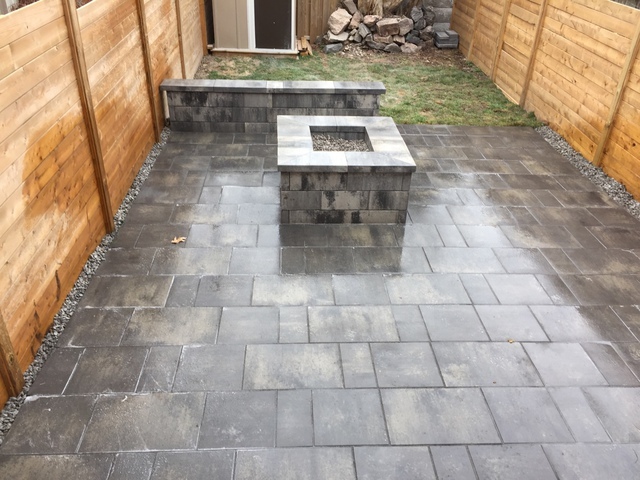 After getting several quotes to do our backyard a few years ago, Alex and his team were fast, reliable, and did a fantastic job. We decided to use Alex again this year for our front yard. Alex's quote was the most reasonable and professional compared to the others. Alex's team always showed up on time, were tidy in the work area, and upon completion, the landscaping looked amazing, professionally done, and we were extremely happy. Great work by the whole team! Our neighbours, family and friends compliment us on the quality of Alex's work and curb appeal he bestowed onto our home. I would highly recommend Alex and his team, Poise Contracting. Thanks for taking the time to write such a great review! It was a pleasure working with you. An assisted review is collected by a contractor on behalf of the homeowner after their work is completed. The homeowner must confirm the text of the review and may make any changes she or he deems appropriate. The homeowner then assigns the contractor a review score out of 10. Assisted reviews receive the same scrutiny as other reviews and must follow our review guidelines. Poise Contracting is great! Talk about good quality and fast! Our driveway was finished in 2 days we hardly even noticed there was construction going on. Thanks guys we love how it turned out! It was great working with you Gemma! I read a bunch of reviews on Homestars and decided to go with Poise Contracting. We had them do our driveway, walkway to front door as well as walkway to backyard. Alex and the crew are very professional and reliable. Alex goes above and beyond to create exactly what we want and always makes sure that the final product is exactly how we imagined it to be. Thank you Alex and your crew for the wonderful work. Thanks for the great review, it was great working with you! 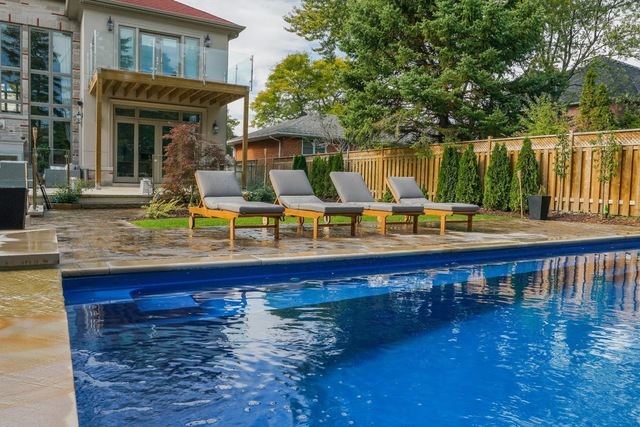 Poise Contracting provides high quality outdoor solutions throughout the greater Toronto area. 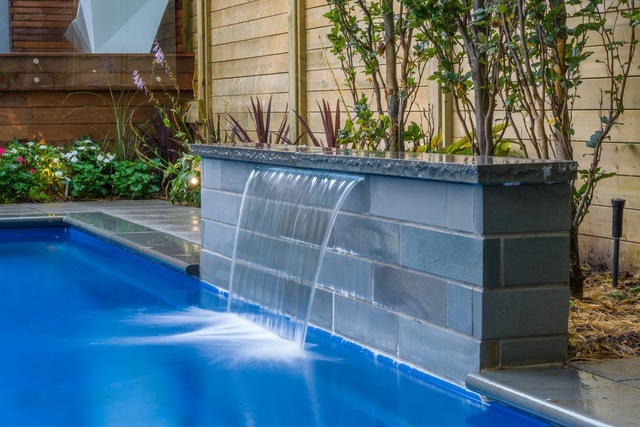 We specialize in installation and design of interlock, natural stone, retaining walls, pool design and much more. 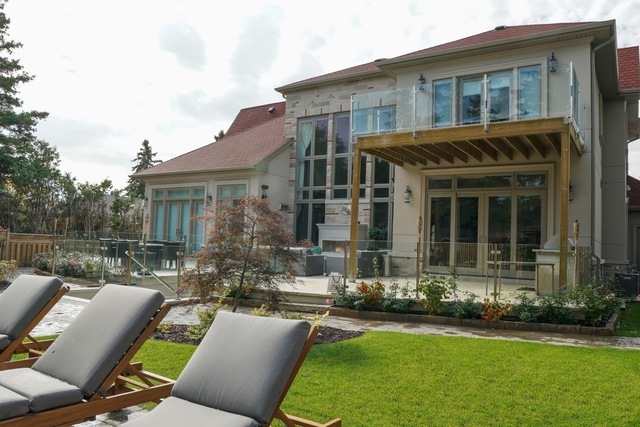 We will ensure that the finished project is something that captures your vision as well as the attention of neighbours. We are dedicated to providing excellent landscape solutions. Give us a call at 289-242-6767.